What is an Oklahoma Quit Claim Deed? Oklahoma Quit Claim Deed: What Is It? 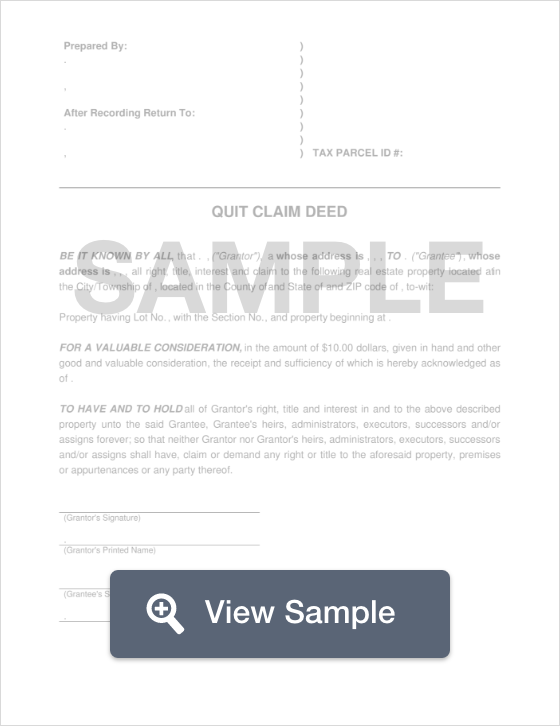 In the state of Oklahoma, a quit claim deed is used to convey property from one person to the next without any guarantees that the title is free and clear. This means that the ownership interest may be transferred without the buyer knowing whether or not the seller has the legal authority to sell the property. Though this type of property transfer is commonly conducted between family members, the buyer should ensure that the title of a property is clear by conducting a thorough title search. Recording - All quit claim deeds that have been notarized should be filed with the County Clerk’s Office within the jurisdiction that the property falls under.